In 2009–2010, almost one in five children older than 5 years was obese. Although control of high blood pressure has improved since 1988, nearly half of adults with hypertension had uncontrolled high blood pressure in 2007–2010. (Hypertension increases the risk for cardio­vascular disease, heart attack and stroke). These numbers became alarming to all—most importantly, to those with a loud enough voice to be heard, including healthcare professionals, government officials, celebrities and other influencers. In response, programs such as “NFL Play 60″ were created to help encourage kids to be active for at least 60 minutes a day. Michelle Obama spearheaded the “Let’s Move” campaign, a widespread initiative dedicated to solving issues of childhood obesity so that children can grow up to be healthy and active adults. The USDA has even increased their efforts by proposing limitations on junk foods in school cafeterias and vending machines across the nation. Some of the most influential figures in our country have begun pioneering a movement toward a healthier United States. Needless to say, the health craze is here to stay, and big brands are conforming to ensure that their products will continue to satisfy both health-conscious and socially responsible consumers. Now more than ever, buyers are paying great attention to the ingredients in the CPGs (consumer packaged goods) they bring into their homes as well as the values of the companies that are supplying them. Leading a well-rounded lifestyle has become extremely important to consumers across the board, and it’s time for CPG brands to take action. This post highlights four CPG brands that not only understand just how important healthy lifestyles are to customers but have been actively improving their products and removing harmful ingredients such as partially hydrogenated oils—(trans fats that raise your LDL, the bad cholesterol; lower your HDL, the good cholesterol; and ultimately increase your risk for heart disease and stroke). On the information side, they are providing their customers with wellness guides, healthy recipe indexes and product safety information. These industry leaders are setting a precedent—giving consumers much more than just a product as they encourage, support and enable healthy lifestyle choices. Kraft’s “Healthy Living” page is complete with useful knowledge that readers can easily put into practice. The site’s visually appealing facade and user-friendly design allow visitors to explore healthy living recipe collections, health tools and featured articles. The section Recipe Collections has everything from quick weeknight meals to kid-friendly dishes and even low-cal entrees and desserts. They advertise all of these as being “smart & tasty,” reminding the audience that they don’t have to sacrifice taste when cooking healthy dishes. Kraft also offers a Healthy Living Budget section, where readers can check out budget-friendly recipes without sacrificing nutrition. Each recipe includes at least one Kraft product on the list of ingredients, photos of the prepared dish, prep and total cook time, portions yielded, nutritional value per portion, and reviews. Healthy Living Tools contains the “Kraft Nutrition Update,” an educational resource for nutrition and health professionals, created by a group of registered dieticians. 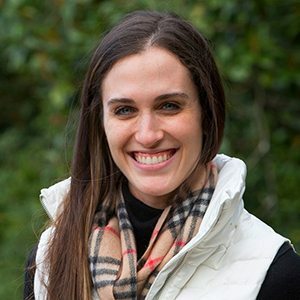 A tool dedicated to aiding these professionals in their practice, as they guide clients toward a healthy, well-rounded lifestyle of eating right and keeping active. 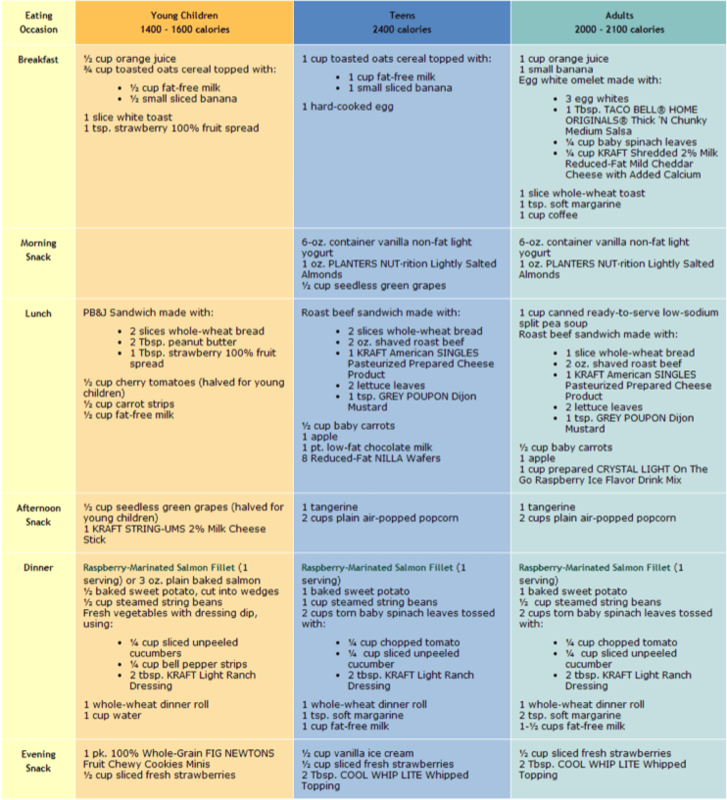 This collection also offers a sample menu plan, like the one below, to help families stay on the right track when it comes to proper eating habits. The Featured Articles offer insightful tips, ideas and suggestions on topics such as smart snacking, weight management, fitness, food allergies and food safety. The Kraft site makes it easy to print these articles out if you choose, or forward them along to a friend. 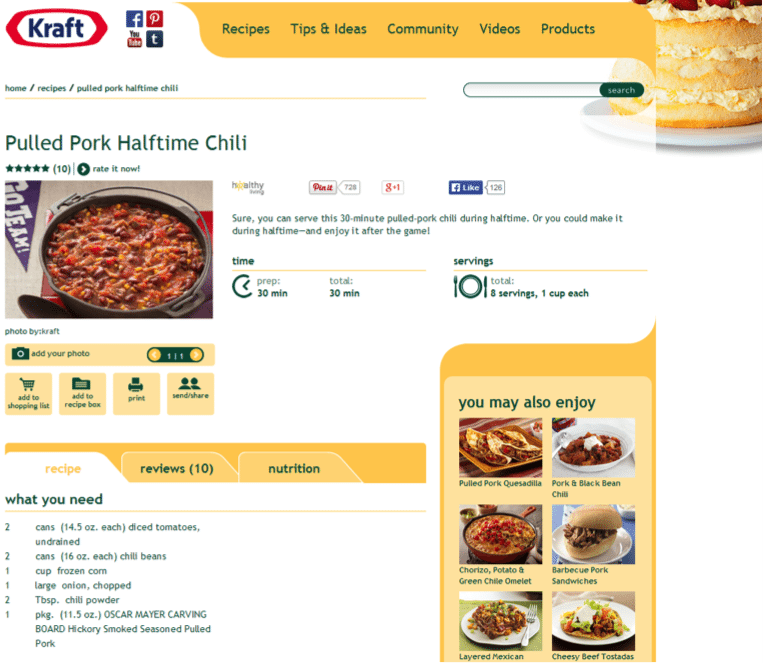 Kraft supplies their audience with a wealth of information—they just need to bring it front and center. All of this information can be found by clicking on “Tip & Hints,” which isn’t the most obvious path to a healthy living guide. The audience has to do some digging, and this information is best when served on a metaphorical silver platter. General Mills, ranked in 2012 as America’s Most Reputable Company by the Reputation Institute, has launched a healthy lifestyle site, Live Better America. Its purpose—to inspire and help visitors to make simple lifestyle changes and have some fun while they’re at it! The three main sections – Eat, Learn, Save – provide recipes and diet tips, healthy living information, and coupons for General Mills products. 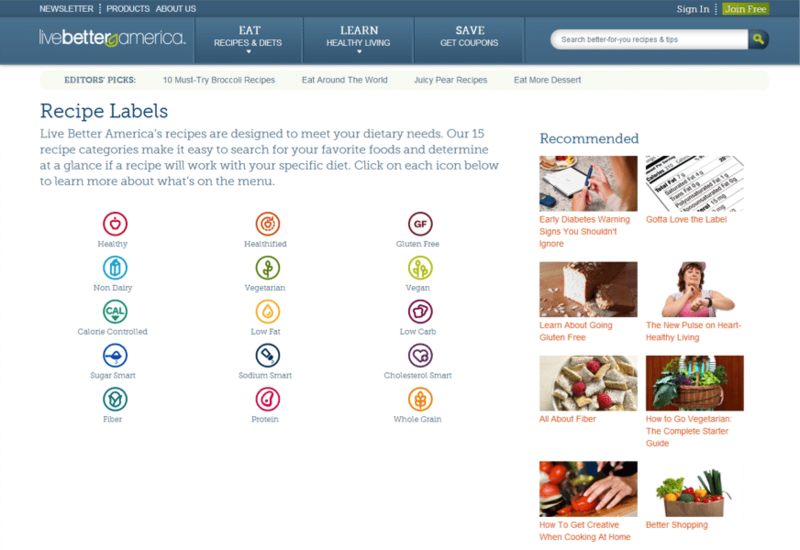 Live Better America also caters to those with special dietary needs or restrictions, and labels each recipe with a colorful icon, making recipe shopping simple and straighforward. Vegan? Just click on the green vegan icon and you’ll be sure to find a recipe fit for the occasion. 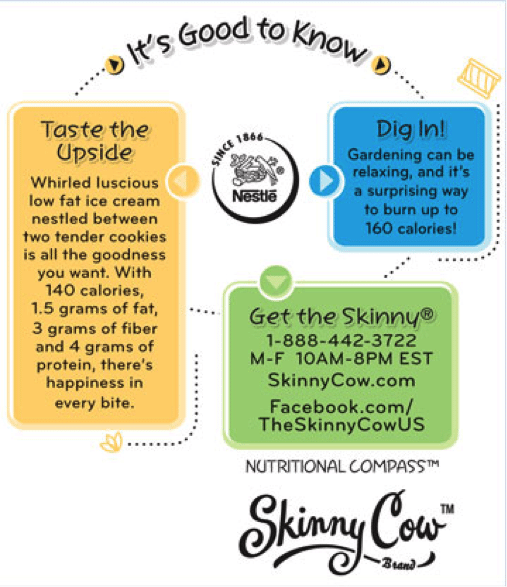 Striving to be sugar smart in 2014? They’ve got you covered there, too. When visitors click on the “Learn” tab, they will be redirected to a page filled with short articles that are both educational and timely, covering hot topics like weight management and heart health. General Mills doesn’t overlook the role that technology can play in healthy lifestyle change and published a piece reviewing the best weight loss apps for your smartphone and tablet. Another focus of the site is the importance of not only physical health, but the critical need to take excellent care of one’s mental health for overall wellness with articles like “How to Be a Better Listener”. If you sign up for a free membership you will receive an email newsletter complete with recipes, contests, free samples, and access to up to $200 per year in coupon savings on GM products. Proctor & Gamble’s brands are some of the most well-known household products in the world, including Tide, Bounty, Cascade, Pampers and Duracell. Consumer awareness in relation to household products has increased exponentially over the past decade—plain and simple, people want to know if the products they’re using are safe. 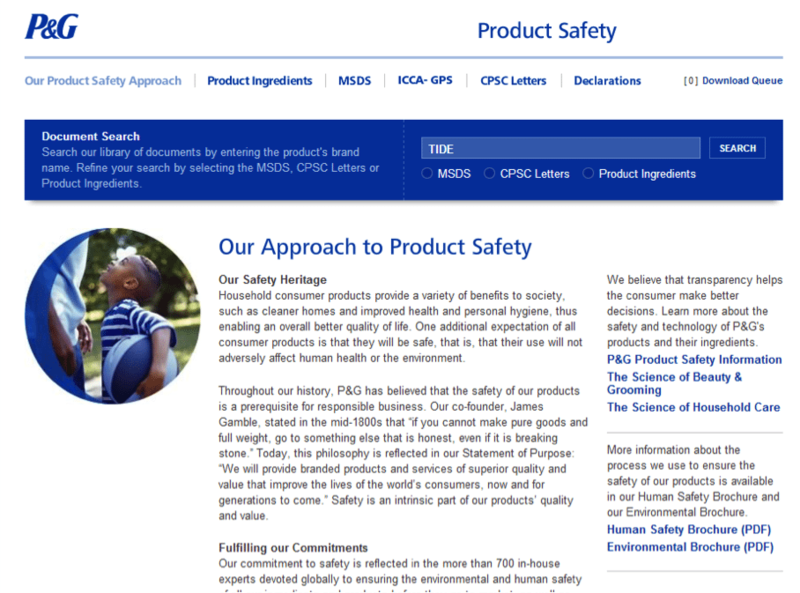 Consumers can search for any P&G brand name and narrow their search to find product ingredients, CPSC Letters (Consumer Product Safety Commission Letters) or an MSDS (material safety data sheet), which are complete with potential health hazards in relation to the chemicals contained in the product, signs and symptoms of exposure, and/or any possible environmental effects. Visitors more interested in the actual processes put into place by P&G to ensure product safety can browse the Human Safety Brochure PDF. This detailed brochure offers information about the tradition and science of safe household, beauty and grooming products. P&G is also very proud to be a socially responsible company, which is a great way to gain customer loyalty. 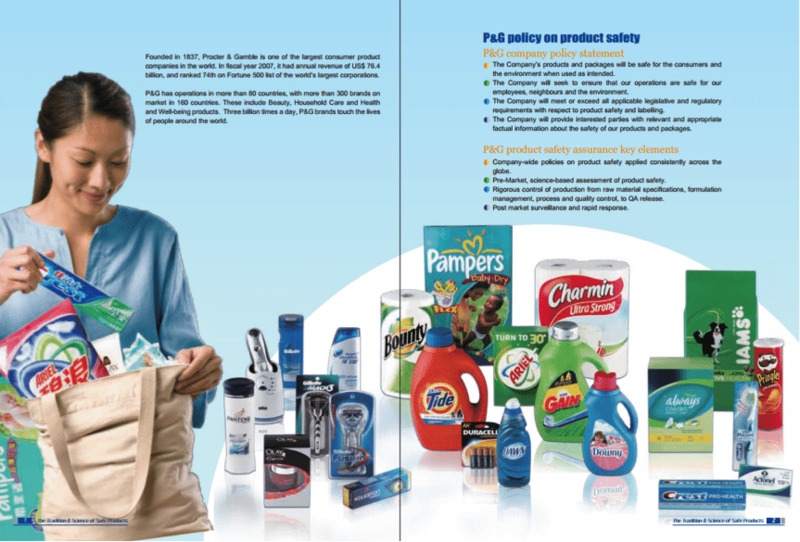 Consumers can read about P&G’s efforts on their Social Responsibility page to learn more about the importance of sustainability and their focus areas including “Comforts of Home” and “Health and Hygiene.” These programs assist families in need who cannot afford safe, affordable housing; orphaned children; and those who have been relocated due to the implications of natural disasters. Nestlé maintains their catchphrase, “Good Food, Good Life,” with their educational nutrition, health and wellness webpage. The site offers easy access to the Nestlé Nutrition Institute, defined by Nestlé as a “multi-disciplinary, educational organization dedicated to the science of health nutrition for people of all ages.” Its purpose—to comprehensibly provide the latest and greatest discoveries concerning health sciences to allow consumers to utilize this information to achieve the best possible nutrition in their daily lives. Visitors are only a quick download away from Nestlé’s Nutrition in Action Fact Sheet, providing information on how their products can contribute to an overall healthy lifestyle. The fact sheet not only highlights great tasting food and beverage choices offered by Nestlé, but explores their nutrition, health, and wellness initiatives including Operation Smile, an effort to supply 500 reconstructive surgeries to children in need around the globe. Nestlé also distinguishes their products with the “Nestlé Nutritional Compass,” which gives consumers the colorful at-a-glance knowledge they need to make informed dietary choices. As we become more health conscious, brands have shown us that they are willing to step up their game and provide instructions for better life choices. The key is to demonstrate to users how their brands can influence a smarter diet and safer life. Helpful content that relates to real-world scenarios, life tips and examples bring brands into focus when it comes to one of life’s most important aspects—our families’ wellbeing. Kraft, P&G and Nestle are all well-known brands for their delicious products or successful household items. But they are now turning a new leaf and expanding their reputation into overall life wellness. The brands that can show their expertise in this health craze will become top of mind when shopping. Consumers are no longer simply shopping for the best prices, but also the most trustworthy and beneficial brands to follow. Share examples of health-conscious brands in the comments below. What campaigns or website tools have you found helpful that have led to brand loyalty?